I’ve talked about Arcen Games several times in the past few months and the one thing that I appreciate from them is their willingness to keep trying new things. 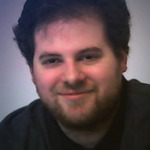 For fans of Arcen, the game that put them on the map was the complex strategy game: AI Wars, which Chris Park talked about on his last guest cast here as their most popular title. With Skyward Collapse, this is Arcen’s return to the strategy genre, however this is anything but your typical strategy game. As Skyward Collapse is an interesting subversive take on the genre. In Skyward Collapse, you are a God who has been issued the task of ruling over the floating continent of Luminith. Your mission is to keep the peace between two different cultures (Greek and the Norse,) and prevent them from completely killing each other. As a God you have the power to alter the land, build structures for both sides, summon special units (more on that in a bit) and more. 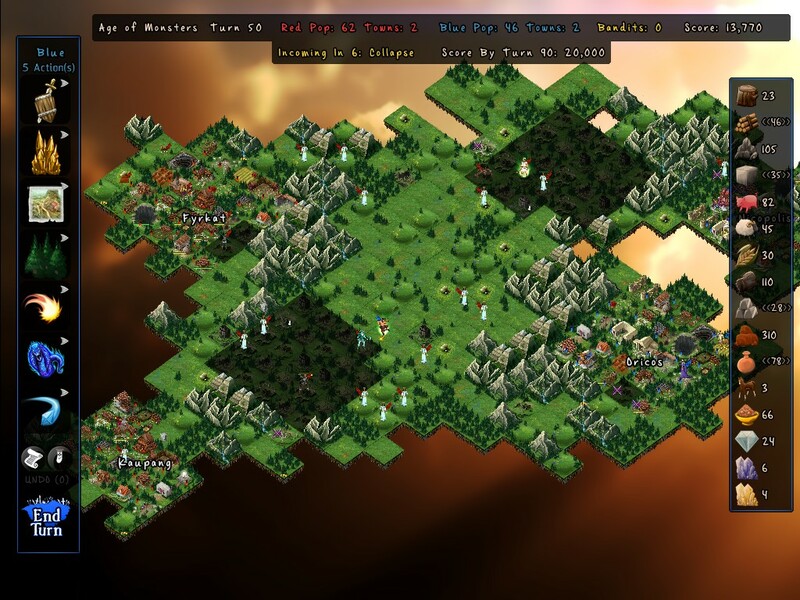 Unlike a traditional strategy game, in Skyward you indirectly control the different sides. Resources come in two types: global and refined. Global resources represent the basic items needed like stone and wood. While refined items require a secondary building to craft them. Global resources are shared between all the cities of the specific side, while refined items can only be used in cities with the respective secondary building. When you build any military buildings, the AI will decide what units to build based on the resources available to that city. 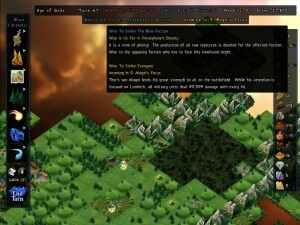 Any units on the map are not controlled by the player but by the AI and this is a major part of the challenge of the game. A game of Skyward is split into three rounds with 30 turns (by default) for each round. A turn is made up of you performing actions for the red side, then for the blue. After which you watch the AI take control of each side and command any units on the field. In order to keep playing and hopefully win, you need to meet specific point thresholds (which can be altered before playing a game) for each round. Points are earned whenever any unit or structure on the map is killed. Nothing ends a fight faster then a Minotaur showing up. However, you can’t let one side completely dominate the other; as if one side completely loses then you lose the game. Compounding matters further, you’ll also have to fight bandits who will appear during the game and world affecting “woes” that come in a variety of ways to completely mess up your strategy. In a sense you have to put out fires with fire, as you’ll need military units to fight the bandits, but you also have to watch out for each side fighting each other. Then again, you can’t keep things completely peaceful or you won’t meet your score deadlines. But as a God you do have a few tricks up your sleeve if things get too uncontrollable. You can aid a side directly by providing resources, strengthening units, blocking off paths, destroying buildings and so on. But if things are still out of control, you have the power of mythology to aid you. The regular units for each side fall into several classes with strengths and weaknesses defined. But as a God you can summon mythological units and items to the field to throw all that out of whack. Each side makes use of Mythology from their specific culture allowing you to summons Minotaurs for the Greeks or Valkyries for the Norse for instance. If the regular units fell into a rock-paper-scissors type balance, then the Myth units were like adding “nuclear bomb” to the equation. A single myth unit can usually handle an entire human army by themselves early on and quickly tilt the balance in the opposite direction. If you want to lend a hand without being as forceful, you can place down magical items that confer buffs to whatever units reach them first. This is where Skyward Collapse‘s design gets interesting, as the game is balanced in the fact that its units and tactics are imbalanced. Once you start making use of mythological powers things can get pretty crazy fast. 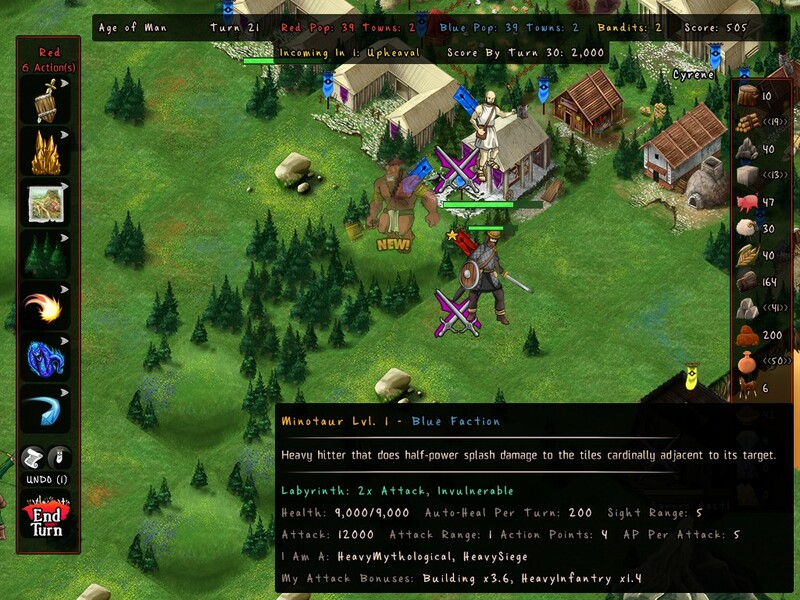 One item makes your units literally invulnerable to any other human units on the map. You are in a sense a divine arms dealer playing both sides and don’t want either to win. Yes, those numbers were correct, my units were doing 99,999 points of damage to each other. Even the sides by design lend into the imbalanced nature of the game. Norse human units are weaker but have stronger myth units. While the Greek’s human and siege forces are superior, but their myth units aren’t as strong. When you enter round 2 and 3, the woes become more damaging, bandits become stronger and minor and major Gods from each side join the fight. These figures don’t move around on the map unless you build one of their specific items, but they bestow massive bonuses to their specific side. You have to take on the challenging task of using controlled chaos to keep everyone alive, while boosting your score to win. As a long standing strategy gamer, Skyward was a breath of fresh air in how completely different it was to traditional strategy design. Normally the strategy genre was all about balance: making sure every unit has the proper counter, no strategy being completely dominate and so on. With Skyward you have powers that can kill everyone on the map except for Gods instantly, bestow invulnerability and more. Just try to imagine fitting that into a game of Starcraft. To reward continued play, the game had a leveling up mechanic based on winning games. As you rise in rank, you’ll unlock new buildings that add more potential strategies to the game. There was also co-op in the form of both players managing each side, but with increased bandit activity. Skyward also featured multiple difficulty levels, along with choosing how long the game will last and what scores to shoot for. Playing on the harder levels, the game will pull out even worse woes for you to deal with, along with making bandits and regular units more dangerous. With all that said, there were a few issues I ran into during play. First was that it was hard to actually tell how combat would play out between units. There was definitely a counter system at work which you can see from the unit descriptions when you mouse over them. But units themselves for each side look similar and made it hard to tell what you should be attempting to get built at first glance or which units would win in a skirmish. In terms of design the main issue I have with Skyward has to do with the depth of the game. Skyward Collapse exists as a combination of strategy, puzzle and God game design. At times it felt like the strategy side of the game wasn’t as big of a factor. 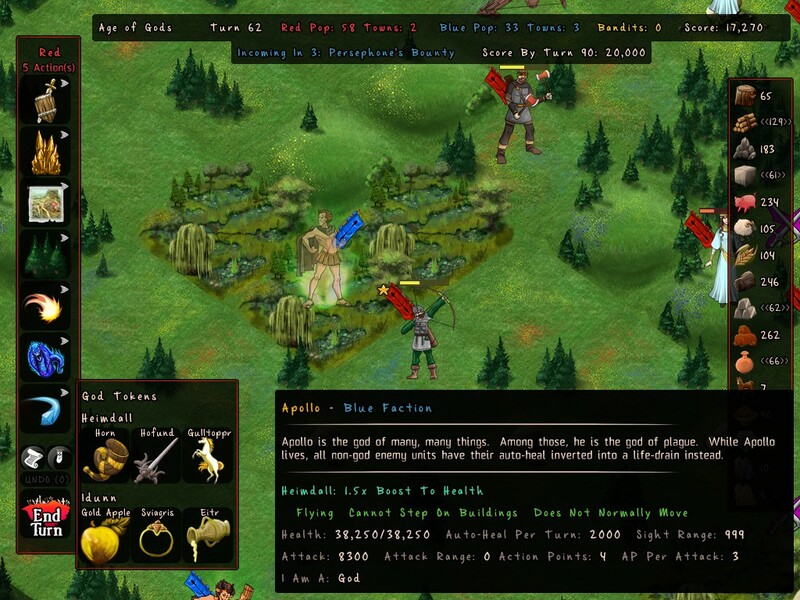 While the game does hit you with randomized events, at this point the actual unit types and building variety were small enough to limit your choices. Since the goal every-time revolves around the score, it does corral your potential strategies and made the game more puzzle-like, and less strategic. For example, once you hit the winning score threshold in a game, you’re basically done. You can get rid of the majority of military structures, smite the land to create one-path floating sections and only need to worry about bandit attacks. Gods affect the game in a variety of ways and can make things difficult to balance. 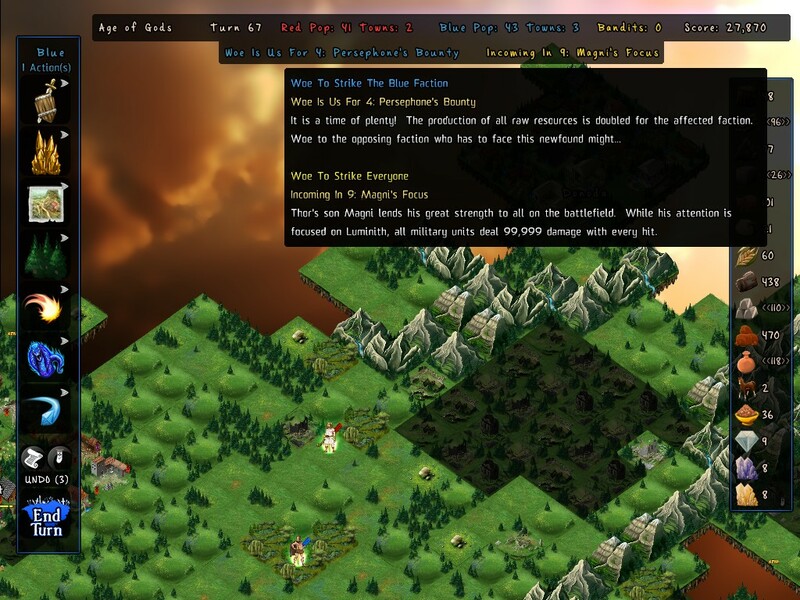 The additional buildings tied into the meta-game, unlock advance features like unit perks and defending your cities with enlightenment, but their use was still limited by the black and white goal of getting enough points. When we spoke to Chris a few months ago, he mentioned the game having side challenges, which seems to have been replaced by the leveling system to unlock new content. I would like to see more ways to win and lose and even just more options to affect the world. For $5, Skyward Collapse is an innovative take on what a strategy game could be. Given AI War’s growth from years of new content and expansions, here’s hoping that Skyward will get a similar treatment as the base concept was great. But you can only get so much enjoyment out of dropping Minotaurs onto armies.